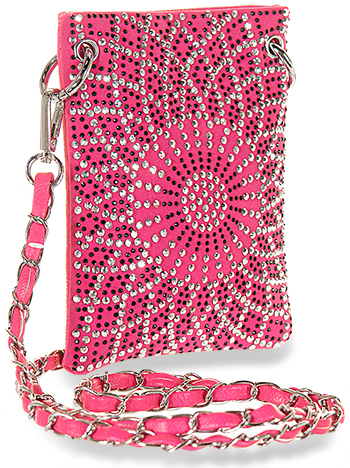 A radiating design resembling a sunflower covers this ultra petite crossbody sling. A single, chain accented carrying strap includes a 23in drop length. Please check the dimensions, this is a very small bag.